When it's sunny, it is work in 6000K color temperature. When it' rains, the humidity sensor will start work at once, and the CCT color would chang 6000K to 3000K, and work in 3000K warm white in the rain, and the light with stronger air-penetration, so that we can know the road condition easily and clearly. 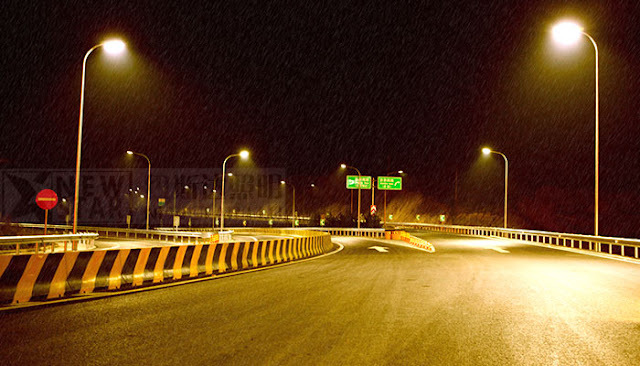 and this newest cct adjustable led street light have mosquito-repellent function. If you are interested in NEWSTAR LED's newest design CCT color change LED street light, please send email to "info@newstarleds.com" or call us "0755-29405686. 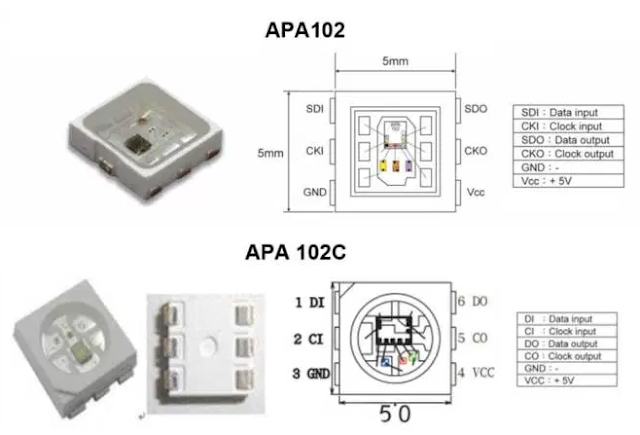 There are two versions of the market, the APA102 and the APA102C, as shown below. The APA102C comes in a package very similar to the WS2812, while the APA102 comes in a package with an increased metallization area to improve heat conduction. The APA102 is more expensive, possibly owed to the more complicated package. So far, I was only able to investigate the low-cost version, the APA102C. I contrast to the very timing-sensitive one-wire protocol of the WS2812, the APA102 uses a standard two-wire SPI protocol – one clock line and one data line. Each LED has two inputs and two outputs which can be daisy chained. 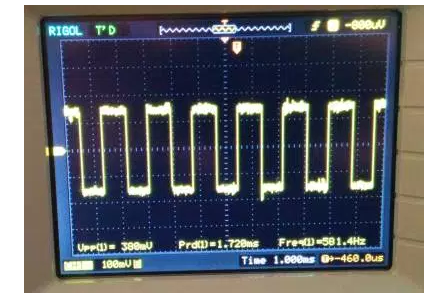 At the first sight, this may seem wasteful, but it has the advantage of being supported by standard microcontroller periphery and it is insensitive to timing variations. Due to the critical timing requirement, it is not possible to control the WS2812 from SOCs with multitasking operating systems, such as the Raspberry Pi. This should not be an issue with the APA102. Furthermore, the data can be transferred at an almost arbitrary clock rate. I was able to control the LEDs with 4 MHz SPI clock without any hitch. It appears that the maximum speed is mainly limited by the parasitics of the wiring. The data format is shown below. Each update consists of a start frame of 32 zeroes, 32 bits for every LED and an end frame of 32 ones. I am not sure what the “End Frame” is good for since its encoding is indistinguishable from a LED set to maximum brightness and will simply be forwarded to the next LED. In my experiments, omitting the end frame did not have any impact. 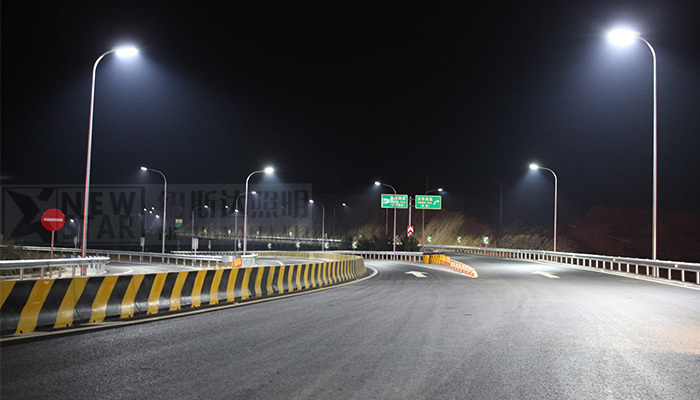 One interesting addition is the “global” field for each LED, which allows controlling the brightness of the LED in 32 steps from 0 to 31. When trying different parameters, I was quite surprised to observe that the LEDs did not show any visible pulse-width-modulation (PWM) flicker at all when the global brightness was set to 31. This is quite different from the WS2812, which shows visible PWM flicker when moving the LEDs. Interestingly, the APA102 started to flicker once I set the global brightness to 30 or below. To understand what was going on, I hooked up my scope to the power rails. When the LEDs are turning on, they draw significantly higher current which leads to a drop in voltage across the power rails. I previously used a similar method to investigate the inner workings of candle flicker LEDs. The picture above shows the current modulation for RGB=255,255,255 and the global brightness set to 16 (50%). The pulse width modulation is clearly visible in the voltage signal at a frequency of 580 Hz, very similar to the 430 Hz of the WS2812. Next, I set the RGB value to 128,128,128 and kept the global brightness at 50%. The result is shown above. Two PWM modulation schemes are superimposed in this configuration. The global brightness is still modulated at ~582 Hz, while the RGB value is modulated at an approximately 32 times higher frequency, 19.2 kHz. This frequency is significantly above the flicker fusion threshold, even when moving the LED around, leading to an apparent constant brightness. The very high PWM frequency is a pretty nice feature of these LEDs. 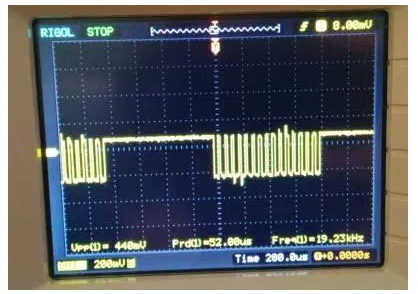 In combination with the higher update speed due to the SPI interface, they should be much better suited for persistence-of-vision applications than the WS2812. They can be controlled with a standard SPI interface. No critical timing required and much faster than the one wire protocol. They have an extremely high PWM frequency, allowing flicker-free POV applications. They are available in a special package with better heat sinking.